One in five people sent on mandatory work activity in charity shops face destructive sanctions (benefit stoppages) of three or six months. Sanctions are a major reason for the soaring rise in the use of foodbanks as hunger is made a daily reality in the UK. The charities still involved in workfare are profiting from making people poorer and giving moral cover to the companies involved as well. Let’s tell them it’s time to pull out! Last month, a poll of charity workers showed just how unpopular workfare is with the majority of people in charities: 92% thought that the government should publish the list of workfare providers that it is withholding. Since the start of the year, thanks to your action, five charities have said they will no longer take part in workfare schemes: Sense, PDSA, Capability Scotland, Sue Ryder and the Red Cross. The Children’s Society has also pledged not to use workfare. Let’s help banish workfare from charities: contact these workfare exploiters today. Fellow animal charity PDSA has already realised that it needed to show a bit more kindness to the human beings working in its shops. Time for RSPCA to do the same and stop using workfare! The YMCA released a statement in March defending their use of forced unpaid workers, and ignoring the fact they are responsible for pushing people into destitution and possible homelessness through sanctions which can last up to three years. Persuade them to join the list of charities who will no longer have anything to do with workfare. Phone them on 020 7186 9500 or their shops hotline on 0845 601 0728. The government has praised the Salvation Army for ‘holding the line‘ on workfare. When new figures emerged two weeks ago showing just how disastrous the Work Programme is for claimants, the Salvation Army released a pro-Work Programme report and have publicly claimed that ‘The Work Programme is working‘. They have boasted about the fact they even force sick and disabled people to do their workfare schemes. The Salvation Army’s youth section are on facebook here. To tell Salvation Army branches round the world what is being done in their name in the UK find twitter details here. Following occupations and pickets in across the UK British Heart Foundation announced they were “moving away” from workfare. Recently they declared they had withdrawn from the Mandatory Work Activity scheme. But they are openly declaring on their website that they are still participating in the Work Programme – despite the fact that in December this scheme was extended to give providers the power to force many sick and disabled claimants on Employment and Support Allowance to work for nothing, or face sanctions. BHF state on their site: “Our supporters are welcome to contact us directly if they have any questions about our participation in the scheme. Please email customerservice@bhf.org.uk“. Don’t disappoint them, get in touch! Now tell them what you think of their use of disabled people on workfare! A list of phone and fax numbers can be found here. And if you’ve got a bit more time, why not get in touch with some of the high street brands profiting from workfare or the green charities exploiting forced labour too? Remember there’s loads of action on the streets this Saturday too! Edinburgh’s actions during the last week of action shut two workfare exploiters down! Call an action in your town or city: A walking tour of shame, surprise visits to your least favourite workfare exploiters, flash mobs, a chain gang… whatever sounds fun to you! Order copies of our know your rights leaflet and get them to the people who need them! Take part in daily online actions targeting those who profit from workfare. Disabled people, benefit claimants and supporters will be holding a vigil and rememberence event for those who have died due to the actions of Paralympic sponsor Atos. The event will take place outside the company’s UK Head Office in Triton Square, Euston on Wednesday August 29th, the same day as the opening of the Paralympic Games. Meet 3.45pm for 4pm start. Atos are responsible for carrying out the Government’s notorious Work Capability Assessment, a relentless health and disability assessment regime which has been used to slash vital benefits from hundred of thousands of sick and disabled people. Tragically several people have committed suicide due to the endless, stressful assessments and the threat of poverty and destitution they bring. An investigation by the Daily Mirror found that 32 people a week die after being declared ‘fit for work’ by the company, whilst Channel 4’s Dispatches recently exposed the system as ‘toxic’ in the words of Atos’ own staff. Campaigners will gather in the square at 3.30pm and will deliver a coffin full of messages from victims of Atos to the front door of the company’s headquarters. A memorial service will then take place, involving a reading of the names of those who have died due to the company’s actions. Some of the messages will be attached to black balloons and released and members of the congregation will speak of their own experiences at the hands of Atos. All are welcome to attend and are asked to wear black if possible. 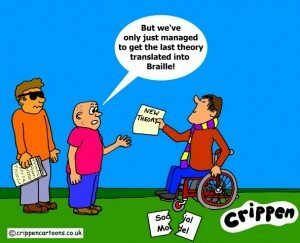 This event takes place during the National Week of Action Against Atos called by Disabled People Against Cuts (DPAC), to coincide with the London Paralympic Games. 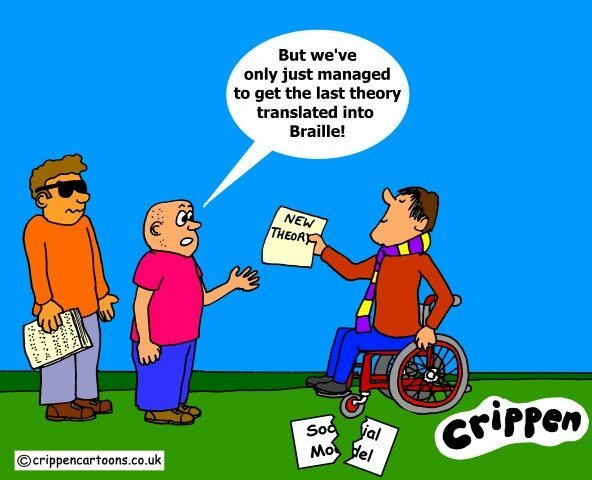 Events are scheduled to take place in towns and cities around around the UK and in London disabled people and supporters will be back at Triton Square on Friday 31st August for the Closing Atos Ceremony.